A very high percentage of engagement rings are solely Diamond, there are however numerous other gemstones which can look beautiful on their own or punctuated with Diamond. The combination of both can offer a very beautiful and colourful alternative. Like with Diamonds, coloured gemstones are evaluated by numerous factors from size, clarity and cut to tone and purity of colour. If you are interested in any of these options or are just curious, let me know. Stones and Jewellery are not just my job, they are my passion! 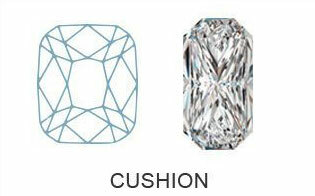 Below are some options for your consideration. 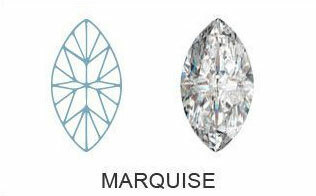 In my experience, these are the top three alternatives... there are other qualities and options of stones. Just ask and we can discuss their suitability. 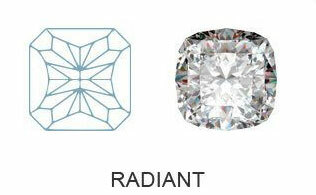 Most popular in blue, Sapphire can come in an array of colours, shapes and qualities. The most desirable Ruby colour being a dark bright ´pigeon blood´ colour. It also comes in a vast array of qualities and therefore tones of red. Emeralds are beautiful but not as tough as other gemstones and so require care with the ring setting. This can be a great option if your girlfriend loves green. As with Ruby, Emeralds come in many qualities and tones. 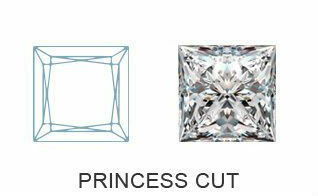 Below are some examples of shapes that the diamonds and/or gemstones you choose can be cut into. 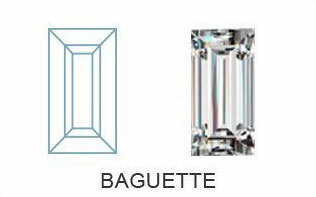 Some shapes are suitable for certain things, and again, this is something that I will advise you on.